Kurdish director Bahman Ghobadi has written an open letter to Iran’s president Hassan Rouhani, urging him to stop the execution of Kurds. The letter, posted on Ghobadi’s official Facebook page, warns the Iranian leader that the on-going hangings could lead to more acts of violence. “Your election posters still hung on city walls when news of the hangings reached us, and the people’s hope turned to despair. The recent hangings have opened old wounds that come from years of torture,” writes Ghobadi. According to Kurdish media, Iranian authorities have hanged more than ten Kurdish political prisoners in just a few weeks, this has lead to international condemnation. “It feels like yesterday that you wished for the jails to be emptied of prisoners. But it seems that the process of emptying the jails was not on the basis of freeing the prisoners, but on sending them to the hanging ropes. 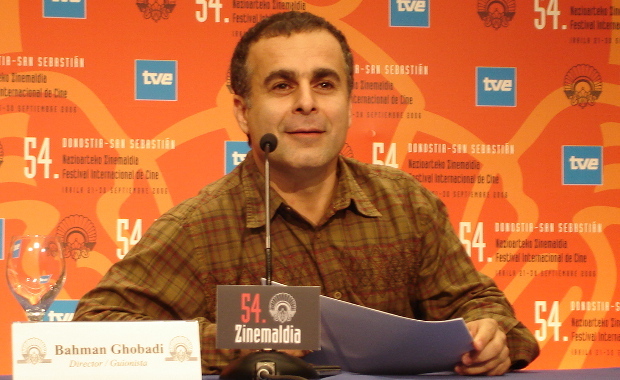 Your talks about ending the question of ‘national security’ have turned out to be the same empty talks, rooted in publicity and harmful to the already damaged Iranian.” Ghobadi concluded his appeal by saying: “I ask you to stop the hangings and instead provide possibility for a just trial for all political prisoners. Do not mark an ambiguous and dangerous future for Iran through suppression and violence.” The independent filmmaker sought refuge in Iraq and then Turkey, three and a half years ago, and has been in exile since. Several actors and directors have had to flee Iran in order to pursue their art undisturbed.